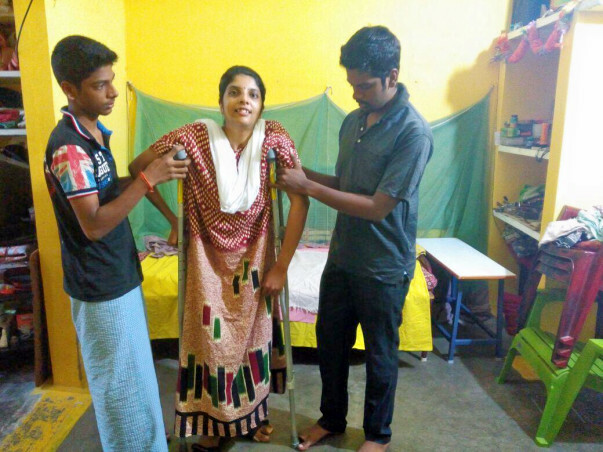 22 year old Hrudayalakshmi’s life changed over the course of one week. She was a very active college student studying B.Sc physics. Her dream was to be an astro-physicist. All this came crashing down over the course of one week when she was diagnosed with brain TB, and went into a coma.TB, and went into a coma. Hrudalaylakshmi’s father Karthi is a children’s story writer. He also makes short films with family- oriented messages. His wife Rajeshwari is a housewife. The couple has two other sons, who are in college now. 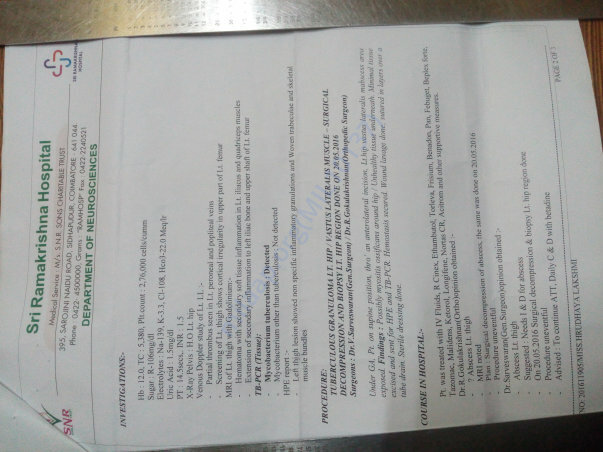 Hrudayalakshmi was a smart college going student. At the end of her fifth semester, she came down with fever often. 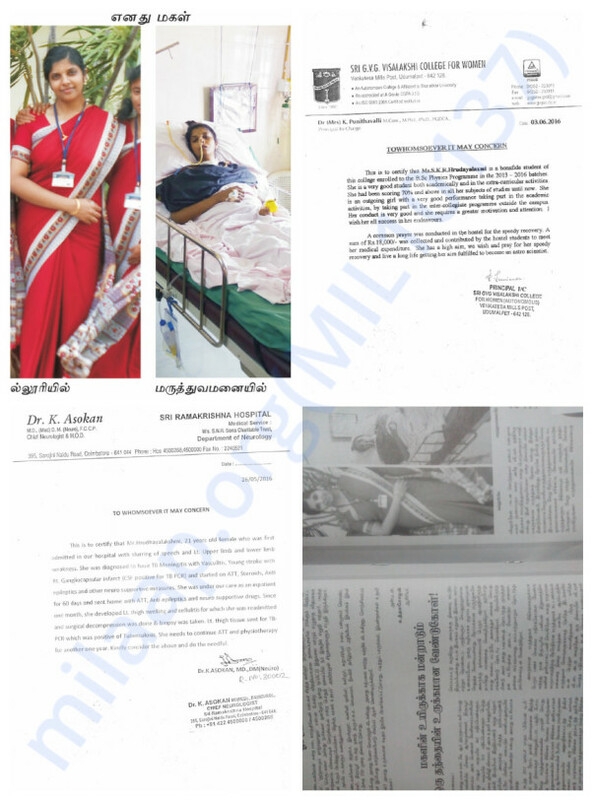 At the time, dengue was spreading in Tiruppur and doctors assumed that it was the same. 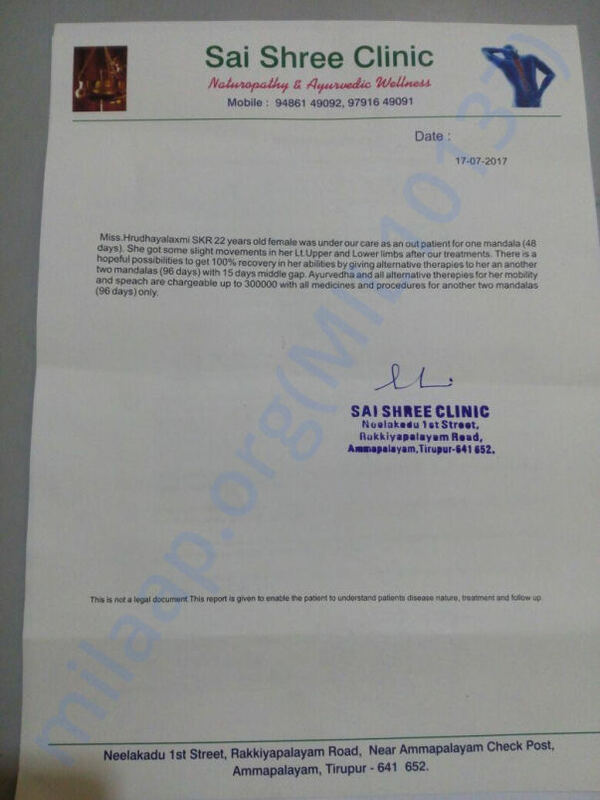 Finally, her father took her to Ramakrishna hospital in Coimbatore where doctors diagnosed her with Brain TB. 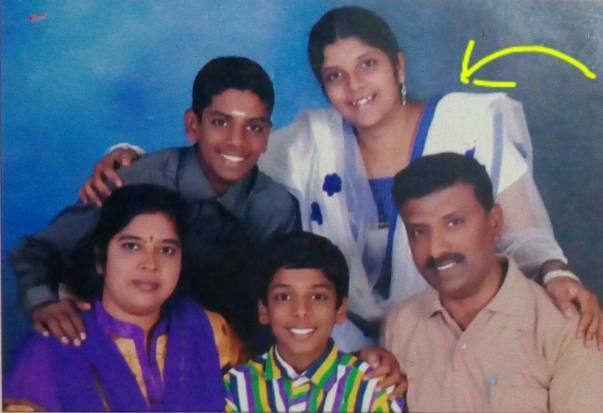 It took one week before Hrudayalakshmi’s organs failed and she went into a coma. Doctors told her parents to start preparing themselves for the worst. 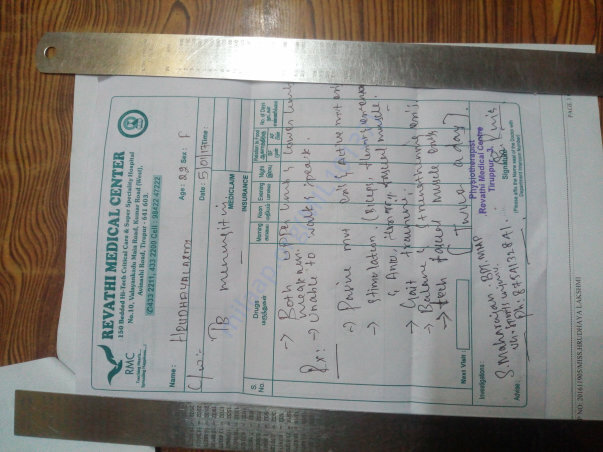 Hrudayalakshmi was unresponsive in the ICU. Doctors told her father that she would not recover. Karthi rushed into the ICU and held his daughter’s hand. Hrudayalakshmi squeezed her father’s hand. 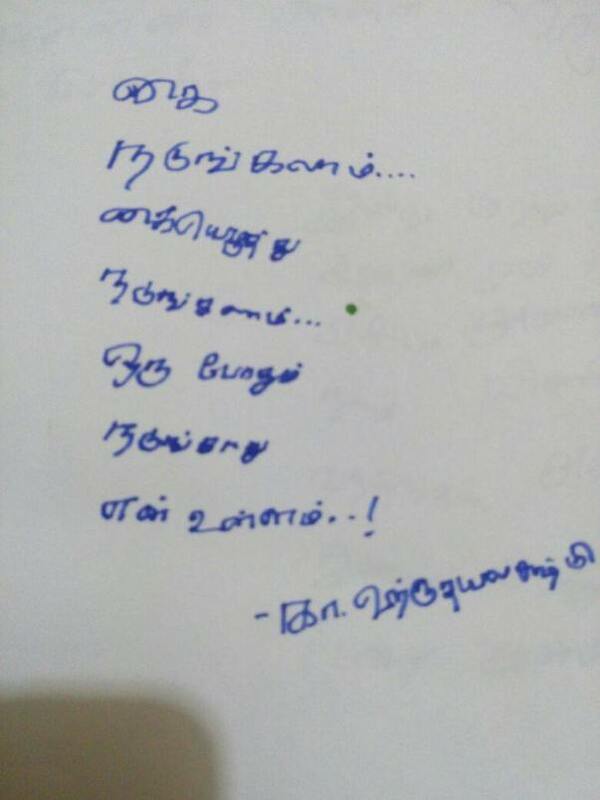 Karthi then recorded a 6 minute audio of him speaking, urging his daughter to wake up. Doctors played this in her ear for 6 days continuously. One night, the nurses called Karthi, saying his daughter had opened her eyes. Hrudayalaksmi had opened her eyes, but there was a long way to go. 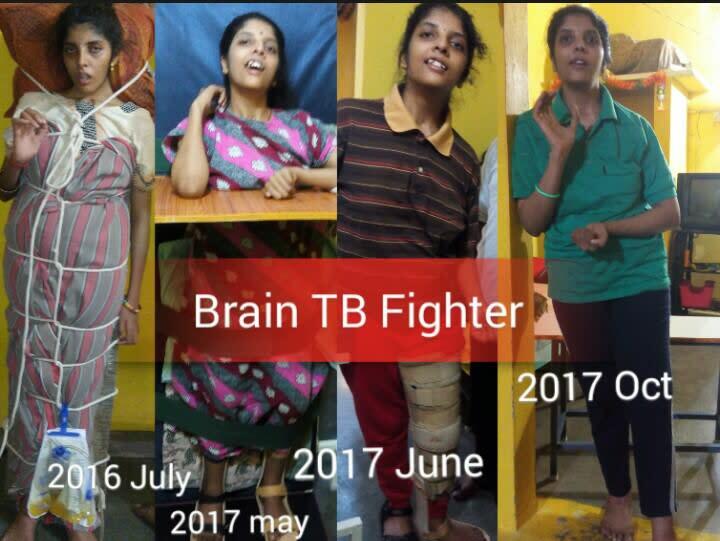 At the end of 2016, doctors at Ramakrishna hospital told her parents that she had recovered from brain TB, but she had to regain movement in her limbs. And this is where her parents began the Ayurveda. 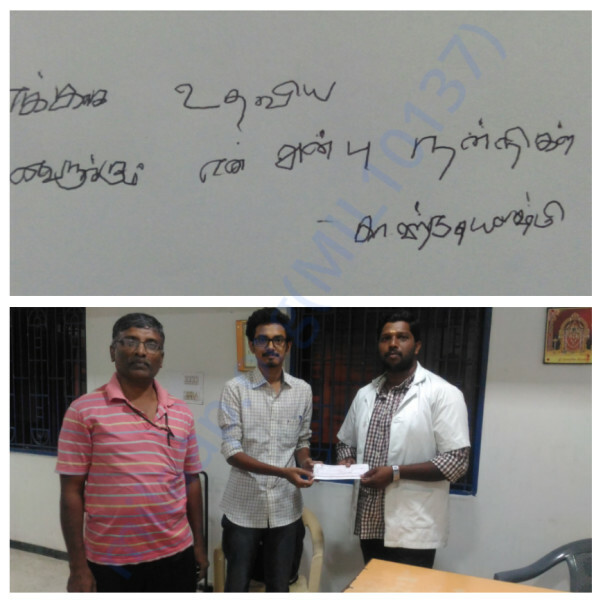 Now Hrudayalakshmi takes intensive massage therapies from Sri Sai Clinic near Tirupur. Her parents hope that she recovers movement. Hrudayalakshmi had the willpower to beat death. 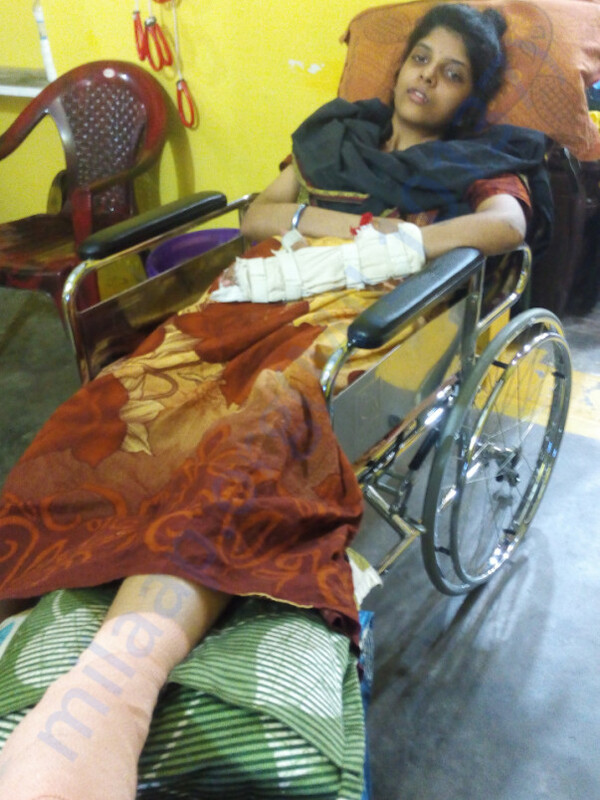 She is on her way to recovering, and needs your support to do so. 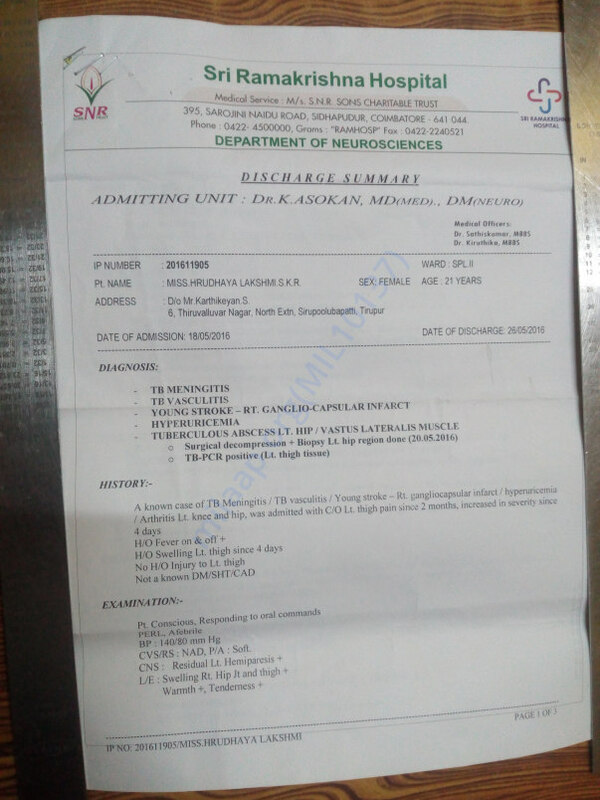 Karthi cannot afford the cost for her therapy- he has spent over Rs 9 lakhs on her hospital treatment. He does not have a steady job as he spends his days at home taking care of his daughter. Hrudayalakshmi still spends her time studying, as she wants to recover and become an astro- physicist. 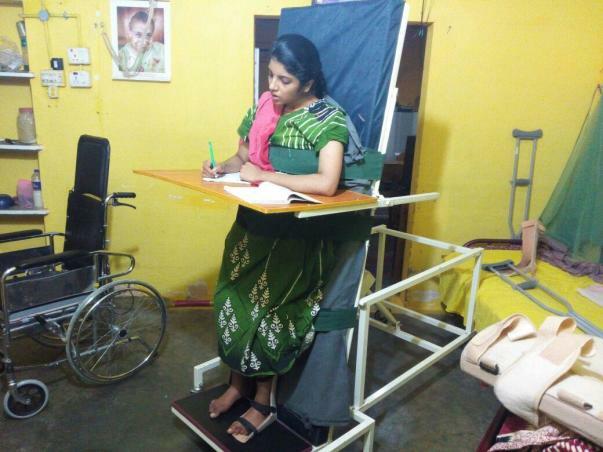 In the above picture- which is for her standing therapy, she still tries to keep up with her studies. This 22-year-old knows that she has her life ahead of her, and wants to keep fighting. 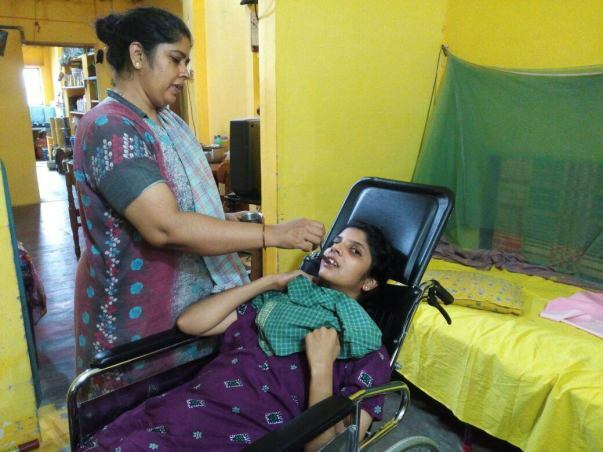 Your treatment can mean that this bright positive youngster can live her life and chase her dreams! Thank you for your overwhelming love and support. We couldn't have imagined doing this without you. It gives me immense pleasure in informing you all that my daughter, Hrudhayalaxmi is doing better now. She is able to stand now and has also started eating well. She is a slow eater but that will also get better with time. She is yet to start talking. Again, the doctors have told us that she will be able to talk as her health keeps improving. We have currently stopped the ayurvedic treatment because we couldn't afford it. She is at home, with us and it feels wonderful to have her back home now. We are all very hopeful about her recovery and are praying for her well-being. Please keep supporting us. Finally from last week we noticed some wonderful improvements in Hrudhayalaxmi. Skr. Now her left side body has good sensation and she can stand very well. 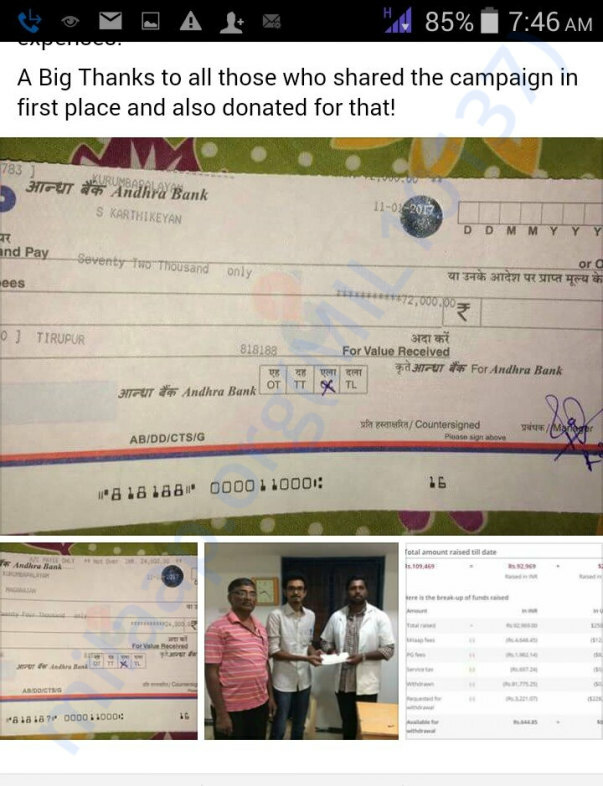 Thanks to all our supporters and Milaap. 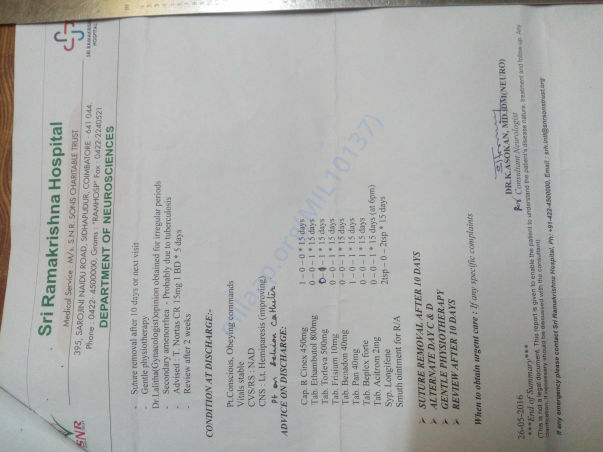 Finally, by the help of Milaap supporters, we settled the previous balance of 70000 Rupees to the Ayurveda Hospital and restarted the treatment of Hrudhayalaxmi. God Bless you Hrudaya.. Get well soon..